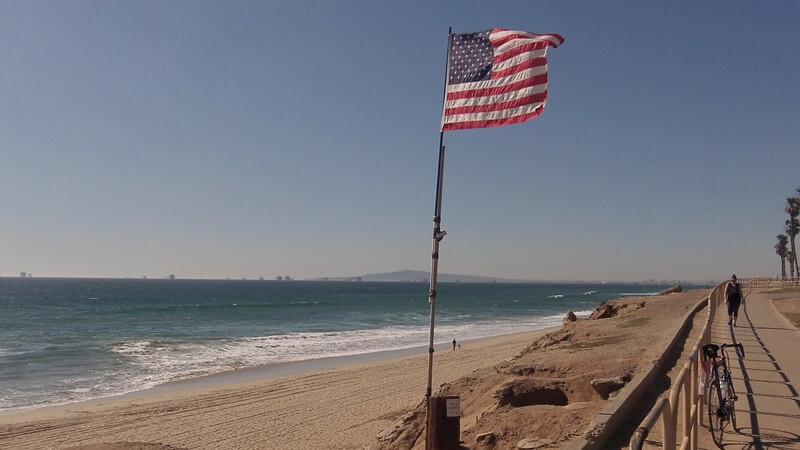 There’s a story behind this flag, and you can read part of it if you interrupt your bike ride — as I did last week — where it is mounted on the stump of an old utility pole overlooking the Pacific Ocean in Orange County’s Huntington Beach. A box near the flag contained two or three fliers, and I picked one up and read it when I got home. It says Zach Martinez put up a flag there for Memorial Day in 2010. The following Tuesday he was about the take it down again when a woman asked him what he was doing. 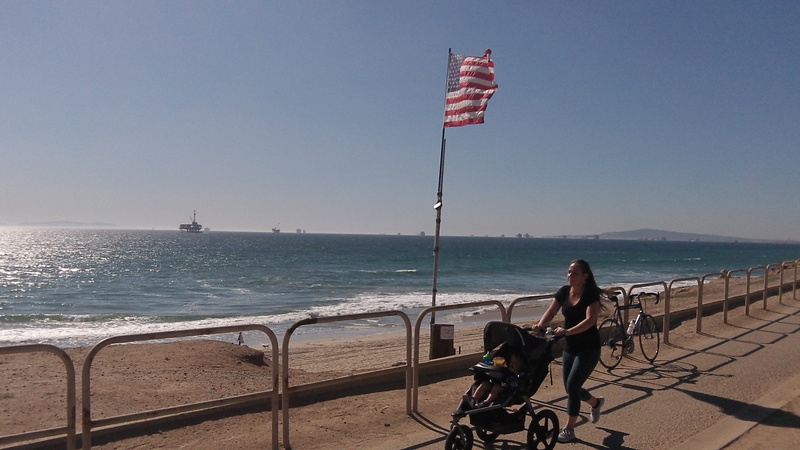 She urged him to leave the flag up because when she had passed by the place over the holiday, it had made her think of her two grandsons serving in the Middle East. He has called the spot Patriot Point. If you google the name and location, you’ll find a Facebook page and several other mentions. One of them is a story about Martinez and his project that appeared in the Orange County Register just last month. Reporter Lauren Williams tells us that Martinez is a 66-year-old surfer, grandfather of four and Vietnam veteran who hopes that the flag site on the bluff above the beach will become a recognized memorial of some kind. A reminder for the next generation as well.